Episode Review: JUSTIFIED, "Raw Deal"
Unfortunately, life got in the way of my TV watching duties so this will be a somewhat condensed recap of this week's Justified. Apologies in advance. In "Raw Deal," Raylan had to deal was caught up in a standalone case-of-the-week involving a computer hacker while also putting up with Wendy Crowe and Art's passive aggressiveness, Boyd pulled a fast one on Jimmy in Mexico but everything went further south when the Crowes started shooting up the place, and Ava pulled a powerplay to ensure her safety in prison. For the first time in a while I think I preferred the procedural nature of Raylan's plotline over the more serialized ones of Boyd and Ava. Now, I'll fully admit that's because I still care about our favorite anit-hero/Marshal and am bored by what the Crowders are doing, but sometimes it's nice to watch a good ole cop show from time to time and that's what the cyber crime story reminded me of. Let's not forget that we also got some added goodness involving Art and Raylan's fallout to keep the larger arc moving forward. 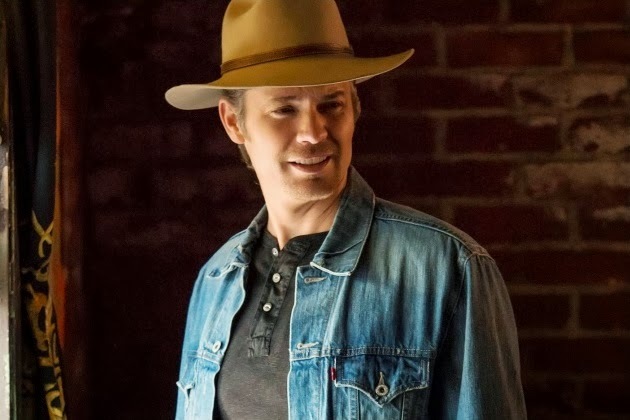 With Raylan trying to get Wendy to turn on her brothers, and the other Crowes becoming more entrenched in Boyd's opperation, the showdown between the two seems to be on its way and I cannot wait because Justified is exponentially better when Timothy Olyphant and Walton Goggins share screentime. Ultimately, "Raw Deal" was a decent enough episode but it got me more excited for what's in store instead of what was on my TV.